LotSoft announced Back to School Giveaway and 50% price off Promotion on its award-winning DVD Video software. Customers can free get All-in-one BDlot Video Pack and enjoy Half-price coupon for top-notch DVD backup utilities. This promo will officially end on Sept. 10, so take the chance to make a head start for the school season! BDlot Video Converter is #1 choice that can competently integrate summer vacation video via transcoding to computer, iDevice, YouTube and Facebook friendly file types. LotSoft, a recently launched DVD Video software provider, today announced back to school Giveaway and 50% off discount deal on its college-related DVD video software. Customers can get all-around BDlot Video Converter (regularly $39.95) for free. Beyond that, they will enjoy half-price favor upon top-notch DVD backup utilities. Time-limited promo only available before Sep 10! "As school time just around the corner, we made elaborate preparations for students who geared up with all kinds of electronic gadget. BDlot Video Converter is #1 choice that can competently integrate summer vacation video via transcoding to computer, iDevice, YouTube and Facebook friendly file types," said by Alex, CEO at LotSoft, "we present with this gift to give them a head start on this new season." When students get back to school, they might collect tons of summer holiday DV and HD Camcorder recordings, downloaded MKV HD movies or Blu-ray BDAV videos. But as being desperate to share with classmate, they will notice that some of their splendid videos are not readable on friends’ PC, laptop, gadgets and even YouTube will reject them. At this moment, this Back to School Giveaway item - BDlot Video Converter comes to rescue and gives students all-in-one video-to-video and video-to-devices converting solution. For students who prefer to save YouTube video on the computer or mobile, BDlot Video Converter will download online videos in handy. It also creates better YouTube to MP3 results for students who are suffered from unstable online conversion services. With high DVD burning success rate, BDlot Video Converter can even burn videos onto DVD. And the outcome discs are ideal for building video collection project, sharing with family and friends, as well as making a presentation in class. 50% Discount Deal - to entertain students through out Back-to-School journey, LotSoft cut off 50% price on its DVD backup utilities - BDlot DVD Clone Ultimate and BDlot DVD Ripper ($19.95 only for this promo). 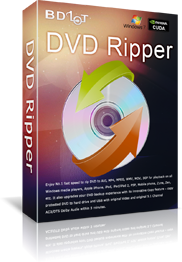 These two DVD tools respectively focus on backing up newly released commercial DVDs (ones’ lawfully owned and for fair use only) to DVD, ISO, PC hard drive, Laptop with intact content or converting DVD movie to general formats & devices. 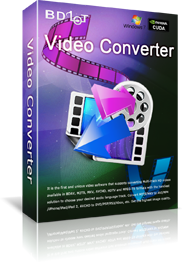 BDlot Video Converter, original $39.95, now completely free for all! LotSoft, a recently launched multimedia software provider, specialized on Blu-ray/DVD/Video conversion and backup solution. The company is always devoted to continuous development, providing their customer advanced products and best services, and has gained an excellent reputation among world-wide users.